It's the end of summer here in New England. Acorns are falling, and drum majorettes are out and about. 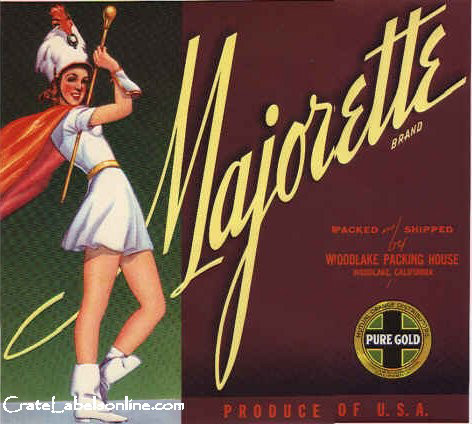 While motoring my bicycle along a country road the other morning, I passed a young baton-swingin' woman dressed in majorette costume, marching smartly down the street. A parade of her own, she threw a dazzling baton up in the cool air, and caught it, expertly, behind her back. An article of enthusiasm that almost got me arrested at a very young age. HISTORY: My mother, Dottie M., always had it in her head that perhaps, maybe one day, I would be someone else. That is...1) able to piece cloth together so it acceptably covers one's body fashionably in public, and, 2) to become a ballet dancer. Please understand that grace is not my middle name. Dottie M. insisted on enrolling me, then age seven, in ballet class. "You need to dance. We are going out to buy a pink tutu for you right now," she announced one day after school. At that moment, I just wanted to go ride my bike. But, I had discovered the night before that this ballet shtick was a "two-for-one" deal. The dance school brochure, lying naked on the kitchen table, shamelessly available for anyone's perusal, showed pictures of ballet students also learning how to twirl batons. I liked the enthusiasm of the baton twirlers I saw as a child. The Macy's Thanksgiving Day Parade featured high-stepping young women wearing square sparkly hats, twirling metal batons fitted with a weighted bulb at each end, backed by a marching band playing "Stars and Stripes Forever". They were fit, these participants in parades, and did tough things while smiling the whole time. I wanted to learn to be like them. So I endured the fitting of the pink tutu and tights and little soft shoes for the ballet part of the class, so I could get on the road to majoring in majorette. The Saturday morning of the first ballet class, it was determined that my brothers also needed revision in the form of refreshed crew cuts, and that my father Frank J. would take them in the red Ford station wagon, with baby Kathy riding shotgun in the toddler seat. That meant the method of transportation to ballet class would be in an additional family auto known as The Bomb. It was a pea green 1946 Buick you could drop off a cliff and nothing would happen to it, a car Frank J. purchased for 50 bucks from a guy at work. It was embarrassment on wheels. It farted and choked and gasped its way down the street, its horsehair seats itchy against the back of your legs, its noise an audio warning of impending air pollution. But it got you where you were going, and my mother was determined to drive me to culture, no matter the mode. I was glad to accompany her so I could join the big league of baton twirlers. When Dottie M. pulled the car into a parking space near the front door of the dance school, The Bomb was particularly flatulent. As she turned the auto off, it backfired and sent a huge cloud of black smoke billowing out its tailpipe. Mothers moved quickly to usher their perfectly-pink children through the dance school front door to avoid the oncoming soot. Dottie M. and I waited for the proverbial dust to settle before leaving The Bomb. When class started, I felt like Olive Oyl in a world of tinier childhood counterparts. I stood taller and sturdier than all the other girls. 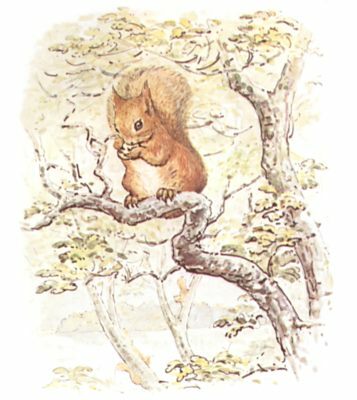 The Maternal Peanut Gallery sat in wooden chairs against the studio walls, each pointing out to the others the lovely student who was her tutu-ed offspring. They all cooed and clucked about how cute we children were, when secretly, each hoped her child showed such dancing skill as to pirouette the others into graceful oblivion. Our instructor was a Martha Graham wanna-be, She had a flat, nasally voice and, seemed to me, wore more red lipstick than Bozo the Clown. She haughtily moved us through the five "positions" deemed important for the budding ballerina to master. Squat, bend, touch your heels, face those feet forward, form a straight line, keep your balance. The Swan Lake Sergeant moved us through our paces, snottily speaking, "one, and two, and keep your balance, and, girls, girls, you are much better than this, backs straight, head up, look at me, not the floor, gracefully, girls, graceful." Finally, ballet hour over, Miss Sarge turned us over to a young, enthusiastic teenage girl named Beth who gave us each a baton, and spoke to us so loudly that I am sure she thought we were deaf. She showed us how to hold the baton and do a simple twirl, actions we fumbled with, some dropping the sparkling sticks, others catching a baton bulb under an armpit during a twirl. Then Beth gave a demo, her baton spinning like a helicopter's blades, passing it from one hand to the other, twirling it behind her back, then throwing it up high in the air. "You can do this too," she said. Taking her comment literally, we threw our batons up towards the ceiling with wild abandon. 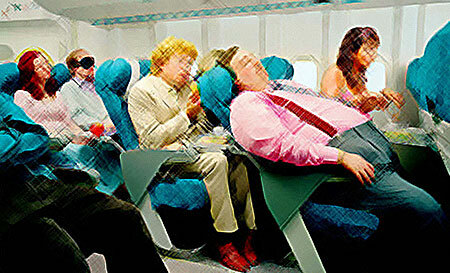 Only problem was mine fell to earth to land on the head of the child standing next to me, knocking the kid out cold. The little girl, whose name I forget, did come to, and in her dazed condition, held witness with the rest of us the utter chaos of the Maternal Peanut Gallery whipped into an emotional lather. She had a knot on her head the size of Nebraska, and a mother with a beehive hairdo who was not too pleased. Beth was reprimanded for giving such an enthusiastic instruction, and mother-to-mother, it was eventually agreed that it was an accident, the little girl would survive, and no harm was meant. Dottie M. and Miss Sarge eventually soothed all the ruffled feathers, and, needless to say, it was decided that my dancing days were over. When Dottie M. and I left the dance school, the parking lot was empty. The Bomb was awakened from its slumber, and coaxed into starting one more time for the trip home. Since this was before the days of cellphones, my mother could not relate the dance hall happenings to my father until she saw him in person. My parents always talked together in the kitchen, at the table, after we were all put to bed. I always loved to watch them do this, as they were in love then, and would hold hands as they talked. I snuck out into the hall of the split level that night to a place where I could see my parents talking in the kitchen a level below. My mother was telling my father the "baton falling from the sky" story, and relating the bedlam that ensued. My father laughed so hard he was crying, and finally wiped his eyes with a napkin. He and my mother hugged each other then, and kissed, parents of children who are characters. My friend Penny left a comment on Facebook today, in response to a message of "Happy Bastille Day Everyone!" that I scribbled via keyboard on my Wall. "Wow, someone else who remembers Bastille Day! I'm half French, what's your Irish-self excuse? 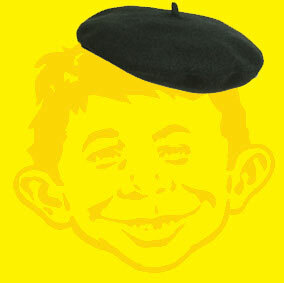 ;-)"
I have to confess that it is all because of an issue of Mad Magazine and a real-time, usually-drunk Good Humor Man of my childhood that I remember Bastille Day. When I was a kid, my two older brothers had a subscription to Mad Magazine, that goofy tome that made a point of making fun of absolutely everyone who deserved it, thank goodness, with bylines that consisted of "written and illustrated by The Usual Gang of Idiots." Still being published today, Mad offers cartoon commentary on current affairs, such as the "Scumbag Billionaire", a full-color poster available for download. I remember wrestling an issue of Mad away from Fran and Kev one afternoon when I was a young girl. I turned to a page where there was a cartoon of a rather inebriated Old Saint Nick character, stupified by some chemical substance found in his stocking, flying in his sleigh through the streets of a city, screaming "Happy Bastille Day" at shocked bystanders. I thought that was pretty normal, considering the Good Humor Man we had in the neighborhood at the time showed the same type of interesting behavior. The ice cream man looked just like your vision of Mr. Claus, a tubby chap with rosy cheeks, white hair and snowy beard. But God help you if you actually wanted to buy some ice cream from him. It was usually a Saturday. Your father had just finished mowing the lawn. You would hear the enticing jangle of bells off in the distance. Good Humor Man! You'd run up to your room to grab that part of your allowance money you had hidden in a safe place, just enough for a Strawberry Shortcake or a Chocolate Eclair, then book it out to the curb to wait your turn to buy some frozen confection. You would see his boxy white truck off in the distance. All the neighborhood kids waiting with you would be as eager to buy a treat. Soon the Good Humor Man was a block away. And then he was whizzing right past you, a DUI dream, going around the corner in his Good Humor truck at about 50 miles per hour, waving wildly and yelling something incoherent, then zooming away. That's when my father, and some of the other neighborhood dads, witnessing the horde of their crying ice cream-less children, would run after the Good Humor Man, trying to get him to stop. But Old Santa would already be gone, dashing off to his next hangover. Soon Jolly Old Good Humor was sent off to the Irish Alps to dry out, and we never saw him again. He was replaced by another driver, a skinny joyless fellow who did stop, and when directed by your order, opened a square door on the side of the truck, and reached through the cold steam to find your ice cream. He always held the ice cream back until you handed him your money. If he had to give you change, he pushed down angrily on the buttons of a metal coin changer he wore on his belt. Perhaps he needed a copy of Mad. 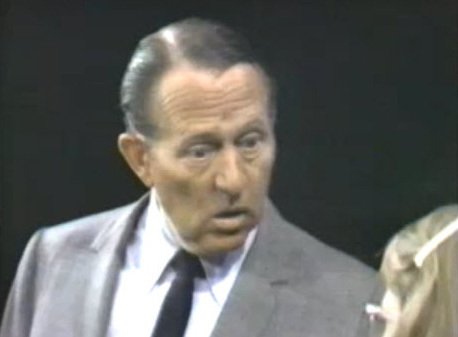 Now that the New Zealand trip is complete, thoughts turn to Art Linkletter. 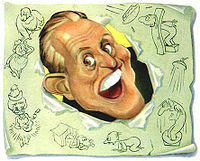 For those of you too young to know, too old to remember, or have no earthly idea who I am talking about, Art Linkletter hosted a very popular afternoon TV show in the USA called House Party, which ran from 1952-1969. 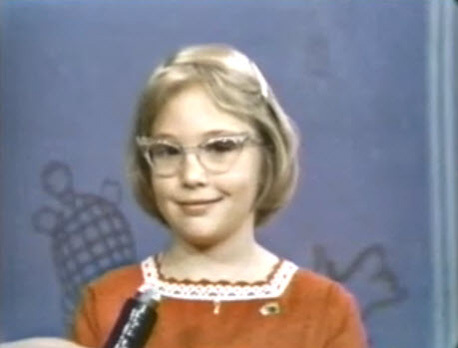 One of the most popular sections of the show was a segment called "Kids Say the Darndest Things" where Art Linkletter asked kids simple questions, and got, as children always deliver, candid answers. Art: "Who do you think would make a perfect husband, Karen?" Karen: "A man that provides a lot of money, loves horses, and will let you have 22 kids, and doesn't put up a fight." Art: "And what do you think you'll be when you grow up?" Older Lady: "Don't smile at me, you idiot." Tony: "Yon-dah lies the castle of my fod-dah." As some of you know, I teach technology courses, and am on the road quite a bit. A few years ago, before the invention of online bill pay, I returned home from a training jaunt to discover that my cable bill was due the next day. The following morning I motored, in the pouring rain, to the cable company customer service outlet located in a nearby mall, ready to settle this fiscal affair. 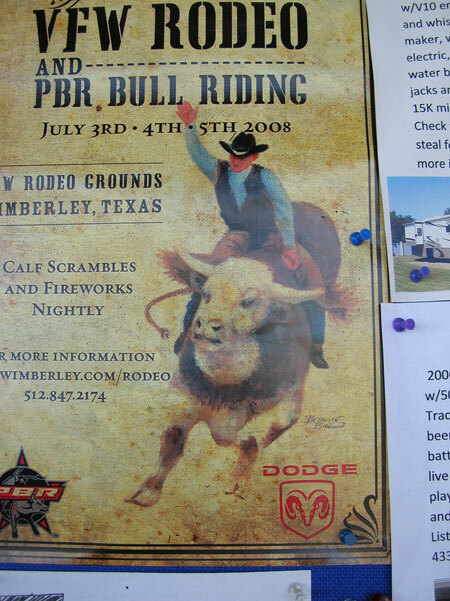 In 2005, while motoring through Texas, I stopped to use a restroom located in the city hall of a small town. Upon entering the vestibule of the building, I noticed a long display case with a glass front, similar to one found in a candy shop. This, I discovered, was the town's museum. This historical exhibit was supervised by a lady with a terrible perm who was knitting something yellow that looked like it would fit some small person who had three legs. As I walked up to ask her where I could powder my nose, I noticed there were about 25 sets of false teeth on the display case's top shelf. "What's this?" I asked, pointing to the displayed dentures. 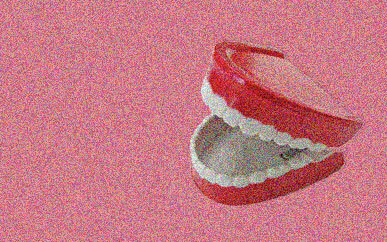 "Those are the false teeth of our famous townspeople," she replied, not dropping a stitch. I was hoping you could wind the teeth up and see them all chatter away together, nudging each other like bumper cars as they trembled around the case. The knitting lady thought that was a rather gauche suggestion, as these teeth had already been separated from their engines, if you catch my drift. And, Lord a goshen and here's hoping the creek don't rise, if you live in that town, you better stipulate to your heirs that your choppers, true or false, are going with you when you leave this mortal coil. Graceland is everywhere. Even in New Zealand. Seems the late Fred and Myrtle Flutey, formerly of Bluff, New Zealand, had a Graceland of their own. It is called the Paua Shell House. 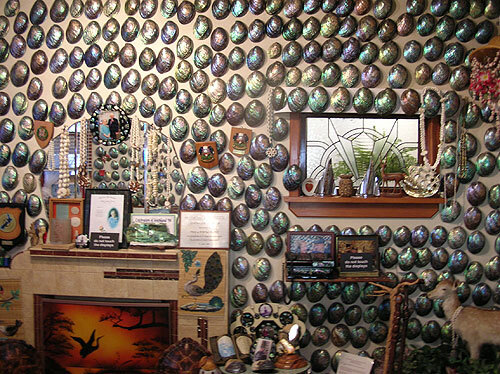 It holds the largest display of paua shells in New Zealand, lining the walls of their "Paua Lounge." A paua is a large edible sea snail. Seems Fred got into the habit of shining up paua shells that he found on the local beach. But his hobby proved detrimental to Myrtle's housekeeping, as he would leave the shells on the floor, making it impossible for Myrtle to vacuum efficiently. So Fred started nailing the shells to the wall of the living room, or "lounge" as it is called in NZ, and the rest is history. Over one million people visited the Fluteys and the 4000 paua shells that Fred collected. The Fluteys never charged an admission fee. When they passed away, Fred & Myrtle’s Paua Shell House collection was donated to The Canterbury Museum in Christchurch, where you can still see the famous paua shell lounge of Fred and Myrtle Flutey on display. We did visit the Paua Lounge at the museum in Christchurch, and what a treat. When you enter the room, all aesthetic sense you own melts away, and you stand there, with all the other visitors, dumbfounded at the possibility of the place. I swear I heard some teeth chattering. Greetings from a place on earth called Canyon Lake, Texas, where it is currently hotter than the 9th Level of Hell. No fireworks allowed here. Too dry. And it is also a place of unique vocabulary. Took Walt for a walk this a.m., and discovered that it is no fun to be a Black Lab in Texas when the sun is beating down on that shiny black coat. We had to soak him down in ice water when we got back. The poor lad was panting for at least an hour, front paw to forehead, trying to cool himself down. He is fine now, as he received as much cold water as he could lap, plus a medicinal helping of BBQ chicken skins at lunch to ease the pain. Because it is The Fourth of Jewel-Eye here in Texas, we went to the local grocery store to pick up some holiday vittles. Being good Yankees, we inquired as to the whereabouts of spicy hot sausages to burn on the grill. The lady we asked at H.E.B. told us she didn't know if they had any of that "High-taleon" sausage, but we could "look right quick" over in the meat aisle. No luck. So we went to the Super-S grocery establishment, where some of the clerks had their faces painted as Texas state flags in good ole red, white and blue. On the way to the "High-taleon" sausage aisle, I passed a couple in deep discussion about the possibility that they were out of holiday condiments. Both male and female were dressed in husband/wife matching outfits: camouflage shorts with matching caps and t-shirts with arrows pointing up that read, "Just Add Beer." The man asked the woman, "Are we outta Murkle Whip?" Did find the sausage, and the cashier showed her gratitude for our purchase by telling us, "Thank yeeeeeeeeew. Y'all have a fun 4th." a) Talkative: "He's got a ten-gallon mouth." b) Happy: "I haven't had so much fun since the hogs ate Sister." c) Hot: "So hot the hens are laying hard-boiled eggs." d) Immoral: "He was all over her like ugly on an ape." e) Big: "That guy is so big he has to sit down in shifts." f) Ugly: "She's so ugly she'd make a freight train take a dirt road." g) Ugly 2: "He's so ugly his mama takes him everywhere she goes so she doesn't have to kiss him goodbye." h) Crazy: "He's got a big hole in his screen door." So, on this Father's Day 2008, I write about my mother and laundry. Dottie M. gave certain advice about life, particularly when one is brave enough to venture into the great unknown. There was always the standard advice about socially acceptable behavior to keep you from looking moronic when sending celebratory greetings: "Never sign a birthday card with a pencil. Always use a pen." 3) Never use a laundromat. Due to the angst of owning a middle-aged bladder, I have visited restrooms of gas stations that would have given the Black Hole of Calcutta a run for its money, only to be saved by more-than-sturdy legs that prevented me from actually having to get near the seat. And I have had the writer's experience of being thrown out of a bowling alley, the result of a blind date with a semi-pro bowler gone bad. He, being very gentlemanly, chose a too-light-for-my-tomboy-strength pink Lady Spalding bowling ball for me to use. When I stepped up to the lane (or should I say plate), it was like I was pitching a big pink softball. It made a perfect arc in the air before crashing down and bouncing to the next lane, and the next lane, and then the next. After management asked us to leave due to my mortal sin of lobbing, I am surprised the fellah actually slowed his car down to drop me off he was in such a rush to get rid of me. So this past week I did go to a laundromat here in Greenville, SC. While Doug was finishing up some business in town, I tottered off with bags of dirty clothing to The Coin Laundry Inc., an establishment high on a hill that still hosts a Ron Paul for President sign out front. Inside there are commercial washers, dryers and lots of rules that Dottie M. would have loved. No sitting on tables. Do not take laundry carts outside. Do not allow children to play with laundry carts. They must make a bloody fortune there. Some washing machines cost $2.50 a load, the larger ones demand $4.25 a pop. There is a cool mammoth machine that will spin the extra moisture out of your towels and jeans and sheets so they dry faster. That costs .50 cents for a three-minute whirl. You can also observe lots of people stories in such a place. I noticed a man and a woman, with laundry loaded in the next row of washers over from mine. She held him in a far-away field of contempt, answering him with one-syllable words. Yes. No. Uh-huh. Nope. Hmm. He wore a grey stocking cap, a gawdy earring, made a big deal out of buying a soda, and continued giving this woman a whole bunch of lines she'd heard before. She wasn't buying. He talked. She moved to a nearby table to fold laundry. He followed, trying to gossip with her. She matched and rolled socks into little folded balls and dropped them in a basket on the floor. Looked like something she would like to do with him. A man in a black baseball cap arrived. He was very careful. He carried two big suitcases of dirty clothes, and already has his roll of quarters in a little velvet sack that he pulled from his pocket. His dirty laundry was pre-sorted. He recognized my amateur status by the fact that I had to divide my clothes into appropriate piles before I placed them in the washing machines, plus transform a $20 bill into 80 quarters, a transaction accompanied by loud clanging from a coin-exchange machine on the wall. 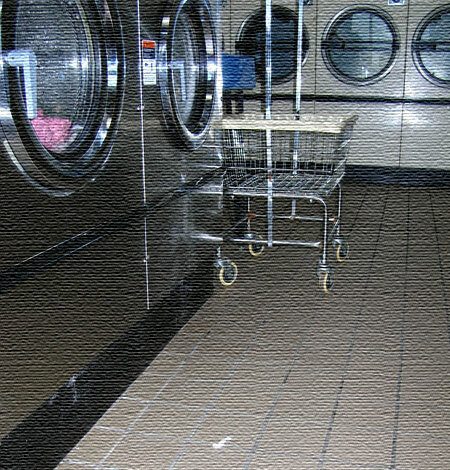 When his laundry was washed, he divided the colors carefully between three dryers, inserted the precise number of quarters to dry each load, then took his laundry cart with him when he went to use the men's room. Dryer heat rules are Zen with some Goldilocks thrown in. You need to dry your clothes on medium heat. High is too hot, and low takes too long. A man sitting nearby read scripture. A children's play area held threadbare toys. The attendent was thorough. She stooped to pick up a small white piece of paper and placed it in a trash can. She carried a set of keys the size of a fist. 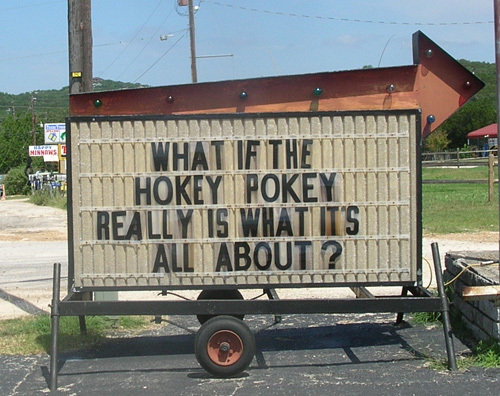 Everything hums and whirls there. I bet it is a steamy place in winter. There are cooling fans for summer. I read a few pages of John Steinbeck's Travels with Charley in Search of America and discover the author's method for washing clothes when on the road. When asked, "How many brothers and sisters do you have?" I reply, "Two brothers and a sister." But that is not true. My parents had another little one: the eldest. He is called The Infant of Prague. 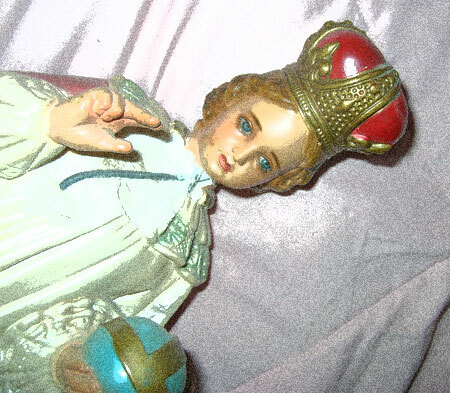 Seems way back in the 50s, when an Irish Catholic couple married, they could look on the gift table at their reception and be sure to find a holy relic: a three-foot tall statue of the Infant of Prague. To be gifted with such a statue meant you would always have money. I guess it goes along the same lines of burying a statue of St. Joseph upside down in the dirt of your front yard so your house will sell. Religion and money...always intertwined. So this statue of the Infant of Prague went with us on all major moves. From NYC to PA, then on to NJ, CT, MA, MD, and finally to the north shore of Long Island, where he sat on the top shelf of the main foyer coat closet, keeping an eye on all who wished to hang up a coat. When you ventured there to retrieve your wrap, you felt someone was always looking at you. And it startled you to look up and discover the little fellah still on patrol, red crown on head and holy blue ball in hand, monitoring the comings and goings of the household. By that time he had a nickname: The IOP. After my parents passed, and we all gathered to clean out the house, there existed a huge dilemna: what to do with The IOP. It was an inherited hot potato: you take him; no, you take him...round and round and round. Finally it was decided that, after the house was cleared and sold, sister Kathy would be the transporter of The IOP to the environs of Virginia. Once there, a new home would be determined for the little guy. It was a rough trip. Somewhere on the New Jersey Turnpike, my sister had to stop short in the little red Sundance she was driving, a defense against the actions of an imbecilic driver. Due to physics, The IOP was thrown from its resting place on the back seat and crashed to the car floor, chipping off a chest part of his royal robe. I remember Kathy driving in to my driveway, The IOP sitting in the passenger seat, the seatbelt securely fastened around his little holy waist. "It's a long story," Kathy said wearily. The IOP still looked regal, despite the treacherous journey. A long story indeed. Somehow I ended up with The IOP. He is with me, sitting on the shelf of one of my bedroom closets. When I open the door to take out clothes to wear, I look up at him and say, "How ya doin', brother." And he, with the bright blue Zen Dude eyes, seems to say, "Just fine."